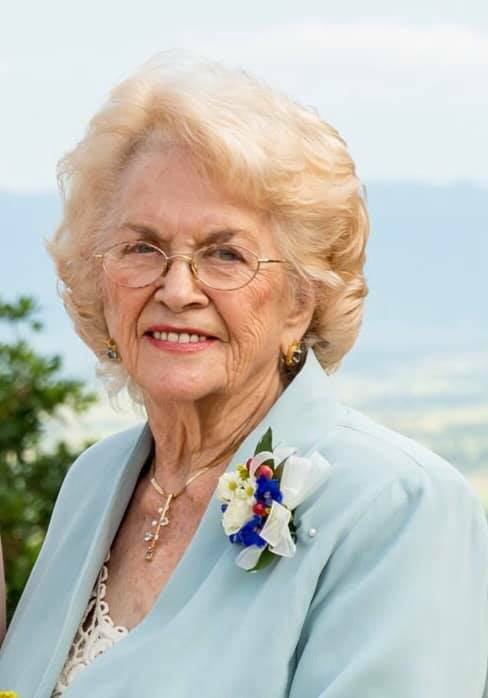 Obituary for Ina Ree Dreiling | Drinkwine Family Mortuary, Inc.
Ina Ree Dreiling, neé Boe, 89, passed away on March 13 in Littleton, Colorado, due to heart failure. Born to Albert and Josephine Boe on March 28, 1929, Ina Ree was raised in Cut Bank, Montana, with her younger sister Marjie. She met and married Clarence Dreiling (1921-2003) in 1947 in Kemmerer, Wyoming. Together, they raised three children: Pat, Di Ann and John. After establishing a successful drilling company, the Dreiling family settled in Colorado, where all of the family still resides to this day. Friends and family will always remember Ina Ree as a wonderful grandmother, a masterful seamstress, and an amazing cook, all with a delightful touch of orneriness and humor. She is survived by her children: Pat and Les Olson, Di Ann Dreiling and John Dreiling; grandchildren: Kirstin and Doug Smith, Jeff and Amy Olson, and Annie and Mike Gorka; great-grandchildren: Jacob and Allyson Smith, Daniel, Dane, Davis and Beckem Olson; as well as nieces, cousins and friends. Ina Ree’s Memorial Service will be held at Drinkwine Family Mortuary at 999 W Littleton Blvd, Littleton, CO, 80120, at 10:00 am on Friday, March 29, 2019 with Pastor Bob Hayes officiating. Burial will follow service at Littleton Cemetery.